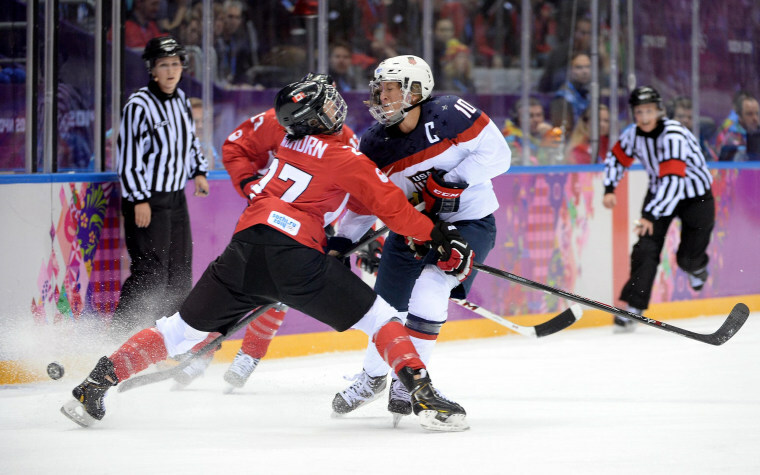 Tara Watchorn of Canada checks Meghan Duggan of the United States during an intense start to the ice hockey women's gold medal game on day 13 of the Sochi 2014 Winter Olympics. The bitter rivals face off on Thursday as the U.S. women attempt to avenge their 2010 Olympic loss to Canada in the finals. Watch the NBC Olympics live stream of the epic battle scheduled for 12:30 p.m. ET.